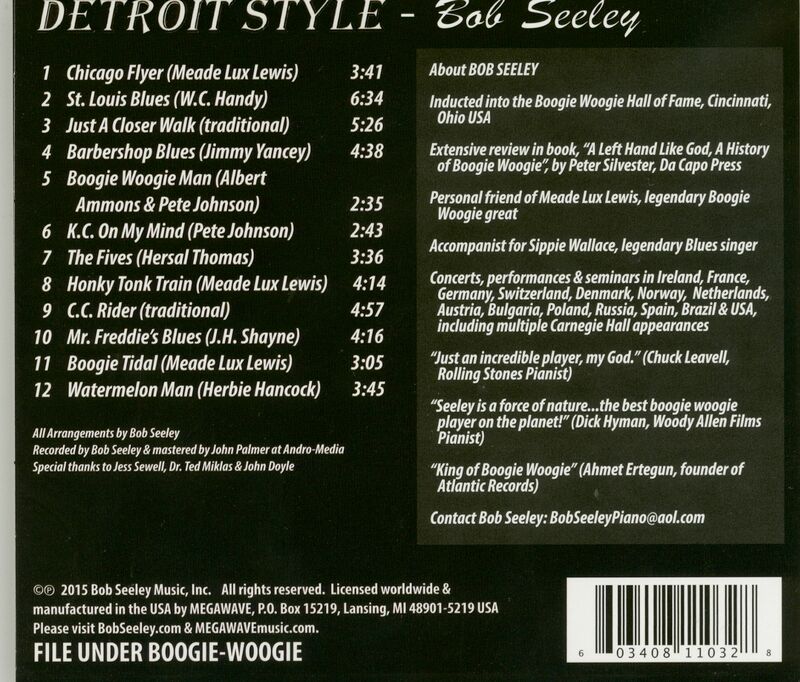 (2015/Bob Seeley Music) 12 tracks. This is the third of a series of recordings from one of the world's premier boogie piano players, Bob Seeley. 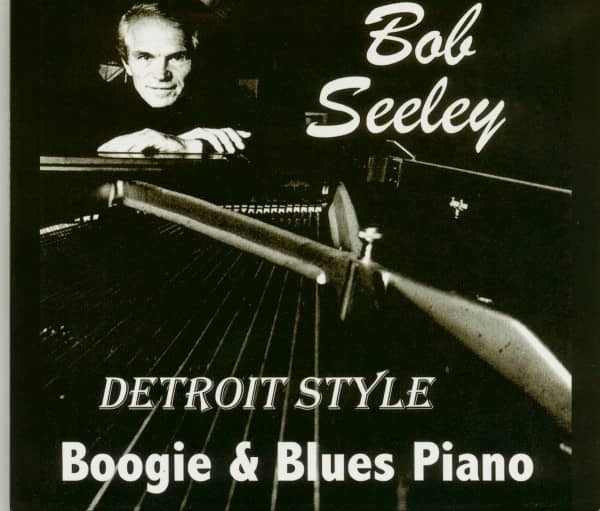 An inductee to the Boogie Woogie Hall of Fame in Cincinnati, Ohio USA, Bob is a classically-trained pianist whose early discovery of boogie woogie is our blessing. Born and raised in Detroit, he learned boogie, stride, and ragtime from recordings and folios. Customer evaluation for "Detroit Style (CD)"